April showers have certainly begun in North – Eastern North America. As March is now completed, we are delighted to tell everyone that we have seen a rise in overall spending and demand for clicks in our paid search systems. When search demand increases this generally means that more people are looking for things. We don’t need to tell business owners what this means for business! Top 15 Plugins To Use WordPress As Your CMS – This article is especially helpful for developers interested in understanding the evolution of blog software WordPress and how new plugins are being built that make using this as your CMS possible. Search Engine Market Share February 2009 – An article written monthly explaining the trends in search queries on the big search engines. The Implications of Google Analytics Individual Qualification – Google launched a new program for Google Analytics individuals that want to improve their own learning. Twitter Applications Are Growing! – Twitter continues to grow and so does the volume of applications which help make it more interesting! TechWyse Releases GPablo Google Analytics Scan Tool – Do you want to check to make sure your site has Google Analytics installed on every page of your site? TechWyse just released a new tool for this! It took over 2 years to build this site but we are incredibly pleased to launch! 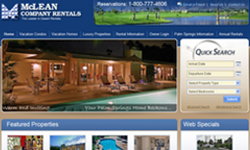 With a complete admin for vacation rental management, and a CMS featuring WordPress integration, this site also integrates with a pre existing booking system. Great work on building a very large site according the very specific client requirements. 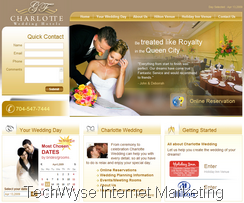 This hotel consortium wanted to develop a dedicated website for people looking for weddings venues in the Charlotte area. 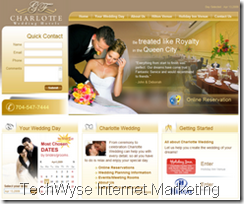 The challenge was developing a website which catered to 2 different locations and hotels in Charlotte. 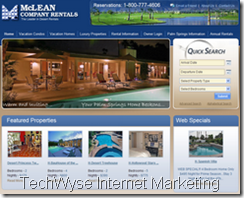 The result is a site optimized for search engines, and branded to each hotel. Yes, the dark clouds seem to be moving away and business activity is inching forward. The number of completed projects you are able to showcase each month is ample proof that you people have been insulated from the downswing we were witnessing for quite some time. Great job guys and we expect to see more and more productive and rewarding months from you. 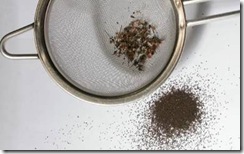 Pay Per Click	Do You Know Who Your Pay Per Click Company Is?